Willy Worm is a go anywhere and just about turn it round anywhere boat.Everything you need is in this delightful 28'boat to go boating for a weekend or a week or two. 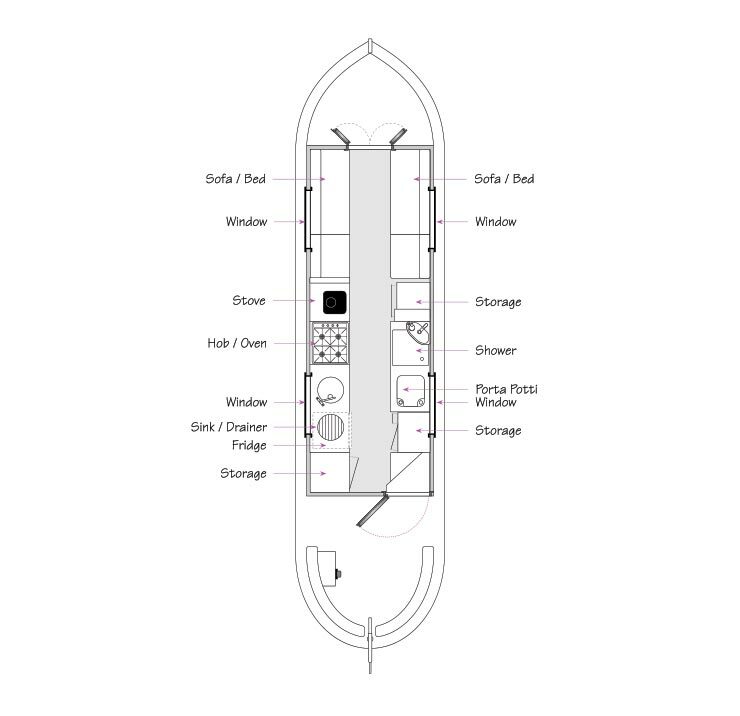 Notes: Forward saloon with seating either side, with storage under. A table on desmo legs provides a dining area. Notes: Galley with Waeco fridge and Thetford oven and hob. Notes: Off corridor bathroom with Porta Potti cassette toilet, wash basin and shower. Notes: Make up cross bed in the main cabin.